From time to time I do enjoy a good man against nature survival film. In previews this kind of looked like All is Lost with Robert Redford but not at sea. Add in a very wonderful Mads Mikkelson and you've got a potentially good film. 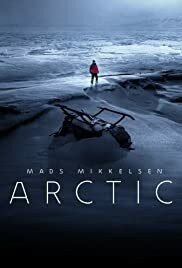 I liked Arctic for the most part but it doesn't really substantiate itself or differentiate itself from films of a similar theme. Which was unfortunate. 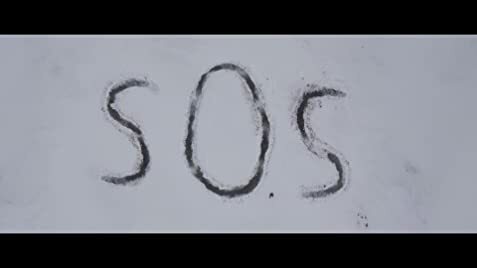 As with All is Lost, the film is super sparse on dialogue. Don't go in expecting a masterclass in screenplay, its a very simple cut and dry survival film. Mads is really good in it and attuned to the performance. I believe he stated that this shoot in Iceland was extremely difficult for him, which comes as no surprise. The film will drag in times because you have to be fully engulfed in the tale of survival and what the characters experience around them. Still there's positives to take from this I just wanted something that could present a real emotional and physical journey. For some this will be present but for me this film doesn't really set itself apart in the survival genre. Its still by all means a really good debut from filmmaker Joe Penna. Side note, I saw this in freezing NYC weather which really set the mood for this arctic drama.